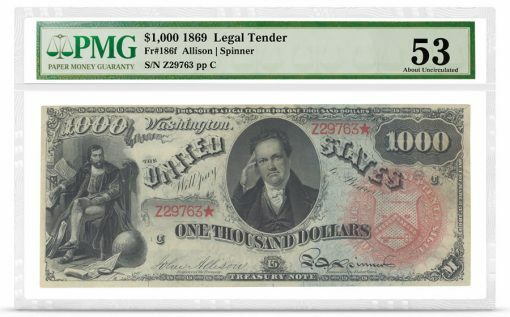 Paper Money Guaranty® (PMG) certified and encapsulated its 2 millionth note, the company announced in a new release published June 20, describing the milestone as a first for a third-party paper money grading service that more than doubles its next-largest competitor. a 1951 People’s Republic of China 5,000 Yuan (graded PMG 40). Founded in 2005, PMG now has submission centers in seven countries to perform on-site authentications, grading and encapsulation services. "We are very honored to be trusted by so many collectors and dealers around the world," says PMG Chairman Mark Salzberg. "We sincerely appreciate all of the support and we look forward to continuing to expand and enhance our services in the future." Expansion is a main reason PMG cites for its growth. PMG’s largest international market is in China where it has certified and encapsulated over 500,000 Chinese notes. "Another driver of growth for PMG has been the development of new technology and talent that has brought increased efficiency and capacity," the company states, while continuing to maintain a "strict focus on quality." These improvements have led to faster turnaround times, which have been helpful to PMG Authorized Dealers.